Daryl Johnson (Worcester Park, United Kingdom) on 18 October 2008 in Architecture. 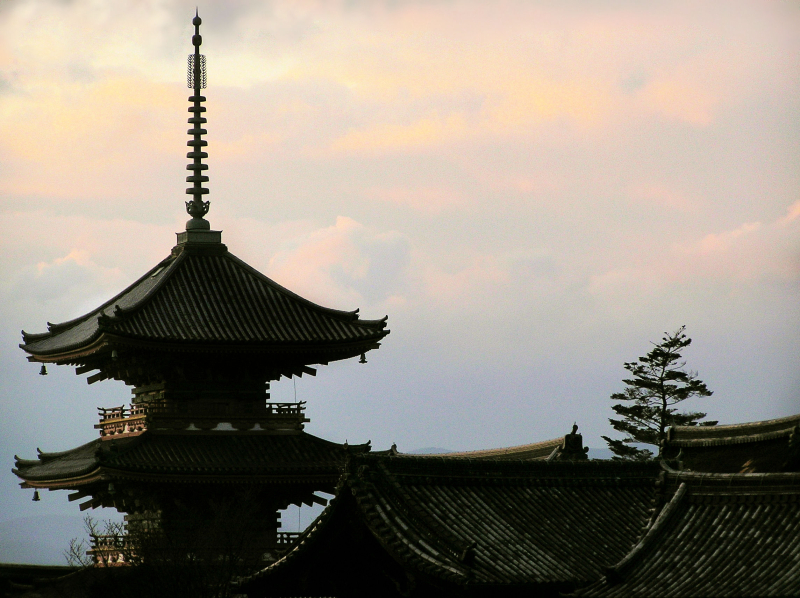 Rooftops and pagoda at Kiyomizu Dera, Kyoto. You caught the light well on the Pagoda, the sky really adds some lovely colour here. Very interesting angle, great light! I've 50€ in a box for my travel!!! @marc j: Gambatte marc! Thanks! I cannot get over the amazing details in the rooflines. These are such wonderful buildings. @Laurie: It's a beautiful place Laurie. This is an amazing view! I love the sky and how the picture looks like a silhouette. gorgeous. I like this view on the roofs. Beautiful.